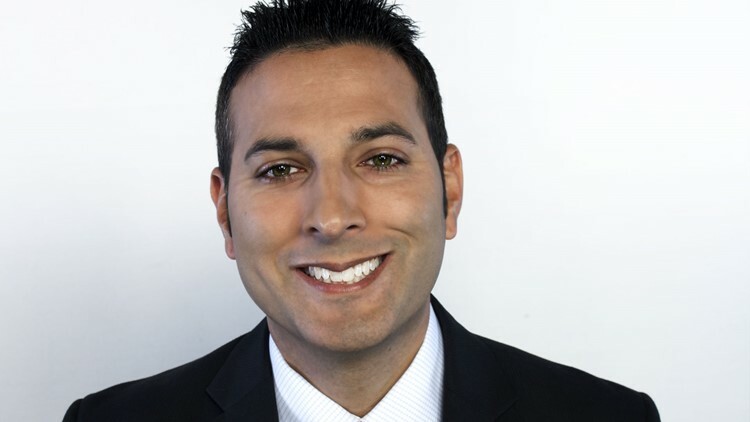 Nick Canizales is the Sports Director at KCEN-TV in Temple, TX specializing in the area of anchoring sports at 5, 6 and 10 p.m. newscasts. Nick joined the KCEN sports team in November 2012. As the Sports Director, he contributes every day to KCEN News broadcasts and writes stories for the KCENTV.com sports page. Nick came to KCEN from KBTV in Beaumont, Texas, where he spent six years as the Weekend Sports Anchor at KBTV NBC/FOX 4. Nick covered numerous High School State Championships, NCAA Basketball & Baseball Tournaments, MLB Spring Training, Astros, Rockets, Texans and even Hurricane Ike in 2008. He has also announced play-by-play for football, basketball and baseball. Nick's career in sports broadcasting fell in his lap while working at KBMT 12 in Beaumont where he ran studio cameras. An avid sport lover Nick never imagined he would one day be on the sports desk. He spent 3 years behind the scenes before his boss gave him a chance. Over the years Nick has won numerous awards for his coverage of local sports as well as an award for his coverage of Hurricane Ike. When he is not working, Nick loves spending time with his wife, son Cade & daughter Madeline. He makes it a goal to see his favorite sports team the Dallas Cowboys in person every year and still screams at the TV when they are playing. Contact Nick at ncanizales@kcentv.com and follow him on Twitter @nickcanizales and on Facebook.